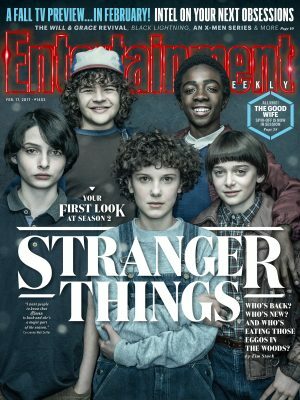 Free Subscription to Entertainment Weekly–Click here to sign up for your free one year subscription to Entertainment Weekly. That’s 46 issues for free! Available for a limited time, while supplies last. Free Subscription to AFAR Magazine-Click here to begin your free subscription to AFAR Magazine, a publication devoted to the topic of real, meaningful travel experiences. Available for a limited time. Free Ghirardelli Milk Chocolate Caramel-Login to your Kroger rewards account to download your coupon to redeem in store fore a free Ghirardelli Milk Chocolate Caramel (2 sq pk/1.06 oz). Available in most stores. Coupon available today only! Free Health Screenings at Sam’s Club-Click here for all the details. Participating Sam’s Clubs will be holding free health screenings from 11am to 4pm on the second Saturdays in July and October. Free Sample of L’Oreal Pure-Clay Yuzu Mask-Click here to request your free sample of L’Oreal Pure-Clay Yuzu Mask! Available for a limited time, while supplies last. Free Unwash Hair Care Products-Click here to become part of the Unwash Product Tester team to score free samples in exchange for your feedback. Available for a limited time. Free Sample of Natural Vitality Natural Calm Drink-Click here to sign up for a Natural Vitality Natural Calm magnesium sample. Available while supplies last. Free Subscription to Real Simple Magazine–Click here to sign up for your complimentary subscription to Real Simple Magazine, courtesy of RewardSurvey. You’ll just have to fill out a survey to earn points for your subscription.